Built in 1883 as a gentleman’s working farm by Elmer A. 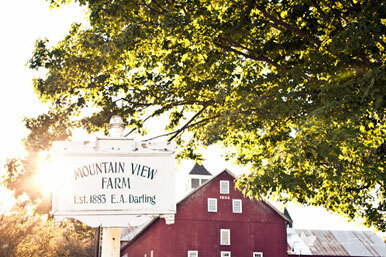 Darling, a visionary Vermonter and graduate of MIT, the Mountain View Farm is a model farm, which once supplied meat and dairy products to Mr. Darling’s prestigious Fifth Avenue Hotel in New York City. 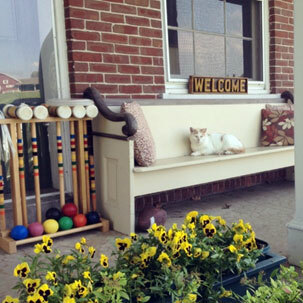 Since then, the Inn at Mountain View Farm has undergone several important historical transitions and became, in the late 20th century, a gracious country inn and home of the Mountain View Farm Animal Sanctuary. Guests of the Inn are always welcome to visit with our friendly farm animals, located in one of the Inn’s impressive barns. 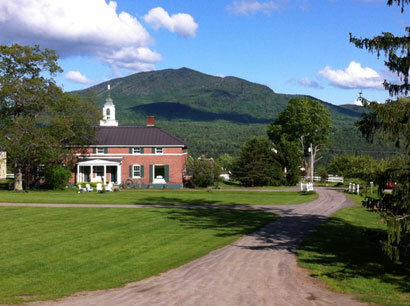 Discover the splendor of Vermont from this country inn located on a 440-acre historic farm in the beautiful and undiscovered Northeast Kingdom.